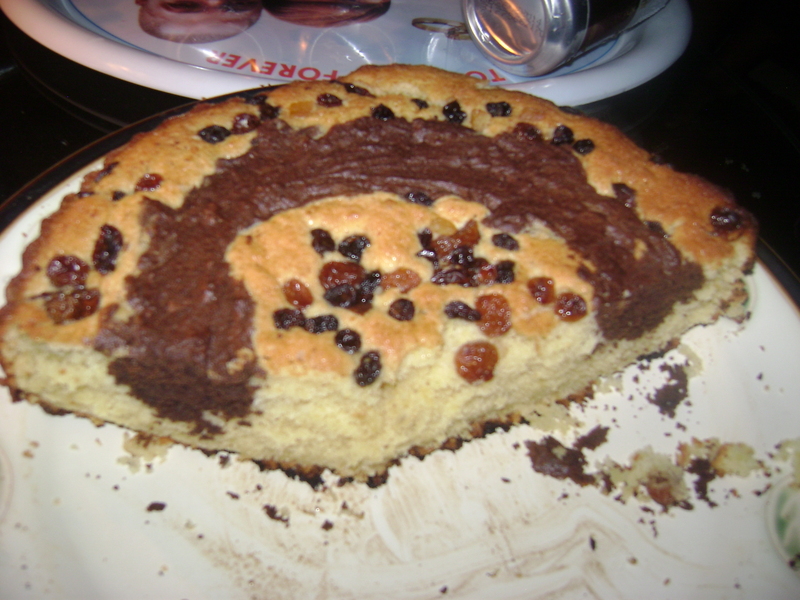 I just felt like baking a cake for my husband’s friends who came visiting us on Friday and came up with this cake that children would like. 4. Whisk the eggs till ribbon stage, then add little by little, to the butter and sugar mixture. 9. Scoop out a little quantity of the butter mixture and sieve the cocoa powder mixture into it. 10. Sieve in the other flour mixture into the butter mixture and pour into the greased pan. 12. 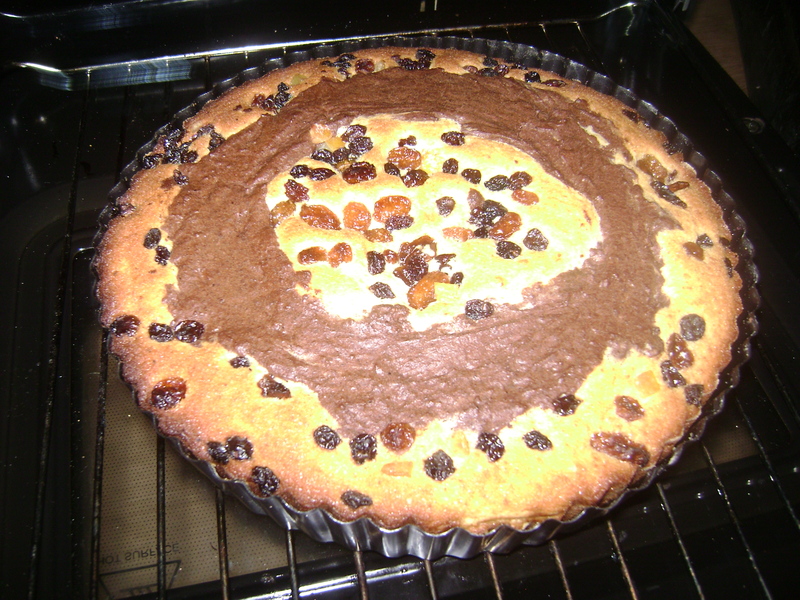 Pour the cocoa batter mixture onto the top of the cake in a circular form, then spread the raisins on top for a nice design. 13. Bake in the preheated oven for about 35-40 mins or the inserted skewer/toothpick comes out clean with no batter sticking on the inserted tool. 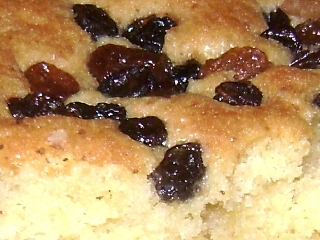 Cake is ready to serve. Enjoy! Well, I think going by what I see here, it’s gonna be extremely sweet and delicious! Will love to make it someday.